Mechanical Precision has been building machines for the last 50 years. We have handled machine designs which include hydraulics, pneumatics, mechanical, and electrical. 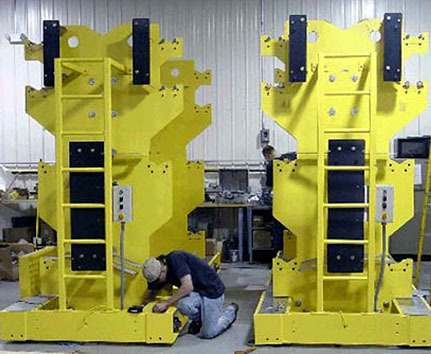 We have skilled personnel with assembly experience, and a large assembly area. We have built machines for many Industries including: Nuclear Power, Solar Energy, Green Technologies, Packaging, Medical, Pharmaceutical, and many more. Contact us for more details.